A Blogger have long list of what he should do and what not. For example a Good Blogger is one who don't write for the Search Engines but for the people. There are many things which a Blogger should keep in his mind while Blogging. Some of the main points are listed below. If you are new to Blogging then this post may be really helpful for you. A large number of Bloggers fail due to this reason. New Bloggers expect a lot in very short span of time. You must not expect results overnight. Give your blog a little time. For example adding Adsense at very beginning can't get you much money but if you wait patiently till you build a good network and quality traffic then the result could be far better. 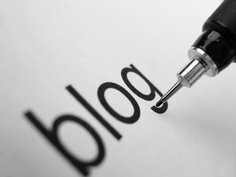 You must not fail to update your blog regularly. If you are the one who don't care for posting would your readers care to read your blog? Update your blog regularly and spread/popularize it which we will see in the next point. Facebook, Twitter, Digg, Google+ are some of the huge Social networking sites where you can popularize your posts. If you ignore this point, note that you are just neglecting a lot of traffic. Spread your posts but never SPAM it just lowers the reputation of your blog. Without SEO (Search Engine Optimization) a blog is just like a body without backbone. Almost all the sites get maximum traffic through Search Engine and if your SERP (Search Engine Ranking Position) is low then you are sure to get less traffic. This can be avoided through SEO. Better ranking in Search Engines will yield you lot of traffic. I have seen many new bloggers copying and pasting posts from other blogs but remember as God notices our every single activity the same way Google and other search engines see our blogs. Copying content is curse for a new blog so you should avoid that. Well if you liked a post on the internet then you can Spin it (Re-write the article) or give the proper credits. Plagiarism should be stopped and never followed. I hope these points will help you and your blog get more traffic. If you liked the article please don't hesitate to recommend it to your friends. Keep Blogging. Yu! you speek my language. love the copy past point thanks for advice.